MR Auto SD’s diagnostic capabilities are state of the art. 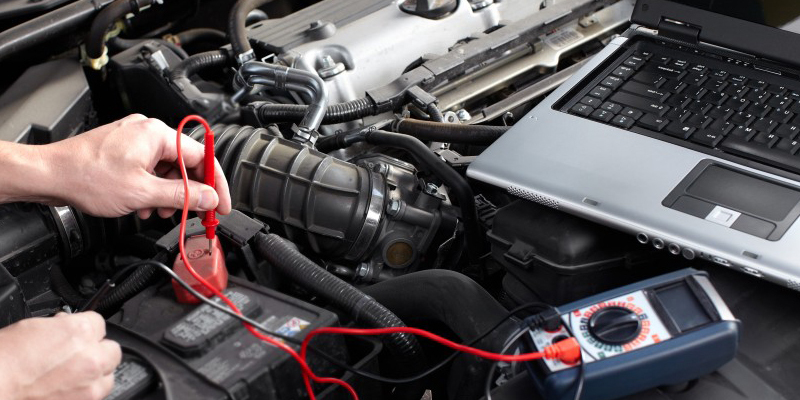 Our ASE certified Master Technicians have received manufacturer training and our repair shop is stocked with the latest equipment ensuring that we can give you an accurate and rapid diagnosis of your car’s engine trouble, and you can rest easy knowing your car is in good hands. When the “check engine” light comes on in your car, it could be as simple as a loose gas cap allowing vapors to leak from your fuel system, or it could be a larger issue. There could be a problem with the Mass Air Flow sensor, your fuel mixture could be running too lean or too rich (meaning the oxygen to fuel ratio is out of balance), you could have a misfiring cylinder in your engine that could cause heavy carbon build-up and lead to larger problems down the road. There are a huge variety of possible explanations and our team is standing by and ready to help resolve the problem swiftly and at the best price in town. We pride ourselves in our repeat customer base, and our customers come back to us because they know they can trust our diagnosis and they are getting the best price in town. Check our promotional page for current specials and call us today to make an appointment for your car, truck or SUV.